So, here we are! It's 2014! The big one! The year of decision for the people of Scotland. As the turn of the year loomed and in the immediate aftermath of the old year's passing, there was much sombre talk of the seriousness of the issue and of the need for this seriousness to be reflected in the way the two sides conduct themselves in the debate. Hopes were expressed - some genuine and heartfelt, some no more than pious cant - that there might be less shouting at each other from entrenched positions and more meaningful dialogue. Thousands upon thousands of words were expended stating and restating the need for "more information" and "more answers". Usually without saying what the questions were that required these answers, and almost never making any reference to the screeds of information that is already available. The New Year message from the pundits was simply that the referendum debate had to be "better" in 2014. My advice, dear readers, is that you maintain normal respiration in the meantime. While there will surely be developments in the referendum campaign (I would love to speculate on what these might be but, regrettably, that is not my purpose here. ), the tactics and tone of the debate are unlikely to change much. The pace will quicken. The volume will increase. The media will make embarrassing efforts to sensationalise trivialities. But there will be little in the overall pattern of the debate which will differ from what we saw in 2013. At this point I should make it clear that I am not doing what so many of those pious and hopeful pundits do. I am not treating the two sides of the referendum campaign as if they are equivalent. Complaints about the quality of the debate have become tediously commonplace. Commentators seem to be queuing up to pontificate about how we're doing it all wrong. We are constantly subjected to patronising lectures about how it's the wrong people talking about the wrong things in the wrong way and at the wrong time. One of the more irksome features of these complaints has been the failure to adequately differentiate between the Yes and No camps. Other than the fact that both are associated with the same debate, there are no real similarities between Better Together and Yes Scotland. In terms of their structure, their methods, their ethos, the two organisations are totally different. And yet those who rail against what they perceive to be the inadequacies and failings of the debate invariably take the line that each is as much at fault as the other. There are a number of possible reasons for this. It may sometimes be a misguided effort to appear even-handed and objective. It is often a matter of intellectual indolence in that it is just easier to lump the two sides together than it is to analyse and describe the differences between them. And, all too frequently, the assertion that one is as bad as the other represents a malicious attempt to tar the innocent with the same brush as the guilty. Whatever the reason, rationalisation or excuse, it is wrong. Given that the whole approach to the campaign taken by the two campaign groups is so radically different it is simply not reasonable to suppose that they will have the same effect. And it is not difficult for the honest, impartial observer to determine which approach is likely to have the most deleterious effect. When even unionists are criticising Better Together for its negativity and ineptitude there can be little doubt where culpability lies if the debate does not meet the standards we might hope for. The quality of the debate is not going to improve in 2014 through any changes in the way the two sides of the campaign conduct themselves. Yes Scotland doesn't need to change. Its strategy is clearly working - as evidenced by the fact that the more people hear of the campaign's message, the more likely they are to move towards a Yes vote. Better Together is not going to change because, quite literally, it has nowhere to go. It has nothing new to say that is relevant to the issue. All of which begs the question, what then might raise the standard of debate? My answer, as you may have guessed from the title of this article, is "better questions". 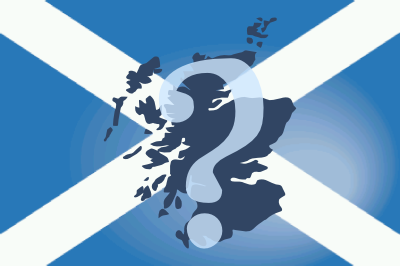 We need better questions asked of those who campaign against the restoration of Scotland's rightful constitutional status. And we need journalists and commentators to ask better questions of themselves when they purport to analyse the issue. Why is the Yes side not included in this? Because pretty much all the questions that might be asked of them have already been asked - and answered - many times over. I don't know about anybody else, but I have to suppress a scream every time I hear some variation on, "What are you going to use for currency? Deep-fried Mars bars?". It doesn't matter how often the answer is given (The pound! ), the question is still endlessly repeated, always in tones that suggest the questioner is convinced that they are hugely clever for having found the fatal flaw in the independence case that nobody else has thought of. The currency issue can be used to illustrate what I mean by better questions. When anti-independence propagandists try to suggest that there is some difficulty about independent Scotland having a currency we should ask, "Can you name a single developed, relatively wealthy nation which does not have a functioning currency?". This might be followed up with a question which could be asked a lot, "What reason do you have for believing Scotland must be the exception?". On the matter of maintaining the currency union after independence the awkward question for unionists is, "Why won't the UK Government and British parties state categorically that they would favour abolishing the currency union?". Having thus disposed of the currency issue, we can move on to some of the other matters where better questions need to be asked. The supposedly thorny issue of Scotland and the European Union, for example. When some European politician or EU official says something supposedly casting doubt on the Scottish Government's position and this is then trumpeted by the mainstream media - invariably under a headline screaming about a "blow" to the SNP - then we should ask what real authority this individual has. Who do they really speak for? What reason is there to treat this view as definitive? What is their agenda? When unionists insist that Scotland would be expelled and excluded from the EU, we should ask that most powerful question of all, why? Why would the EU do that? What reason would they have for behaving in such a way? Much the same applies to Scotland's relationship with other international organisations, such as Nato. The default assumption of the anti-independence campaign is that Scotland would be a pariah nation shunned by the world. It is an assumption little challenged by the media. Again, we need to ask why would Nato reject Scotland? How would this serve the interests of the alliance? What reason is there to assume that other Nato members would not favour Scotland being part of the alliance? I'm sure you've all got the idea now and know what I mean by "better questions". But there is one area where really searching question will, arguably, be needed most and that is the issue of "more powers". The British parties in Scotland are already desperately trying to pretend that a No vote is a vote for increased powers for the Scottish Parliament. That effort at deception will intensify over the coming months. It must be vigorously challenged. We must ask the awkward questions. How might the three British parties in Scotland reach a consensus on "more powers" proposals that are also detailed and meaningful? How do the British parties in Scotland propose to get the agreement of their bosses in London? How will they make the proposals binding on a future UK Government? How will they guarantee delivery? How can they credibly commend as part of a devolution package powers which they have claimed would harm Scotland as part of being independent? Why didn't they devolve these powers before? Why do they now want to put forward proposals for more devolution when they refused the chance to have these included in the referendum ballot? Why do they not want their proposals mandated by the electorate? If they are offering something akin to full fiscal autonomy (FFA), how will the currency union work under devolution when they claim it wouldn't under the FFA of independence? These are the sort of questions that must be asked. There are many more. Why is that a silly question? Ask yourself what other nation would question its own right to be independent. This article was first published in AYE Magazine.